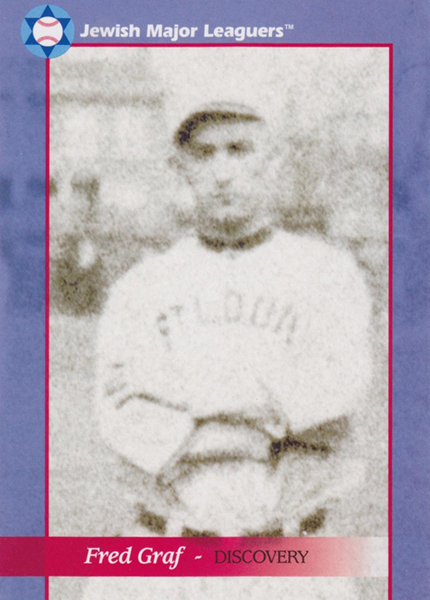 Fred Gottlieb Graf appeared in four games for the St. Louis Browns in 1913, then spent the next twelve seasons in the minor leagues before retiring from professional baseball. He collected two hits in five at-bats, including a double, knocked in two runs, and drew three walks. He also handled four chances without an error at third base. After his playing days ended, he managed for two years at both St. Augustine and Selma in the Class B Southeastern League. 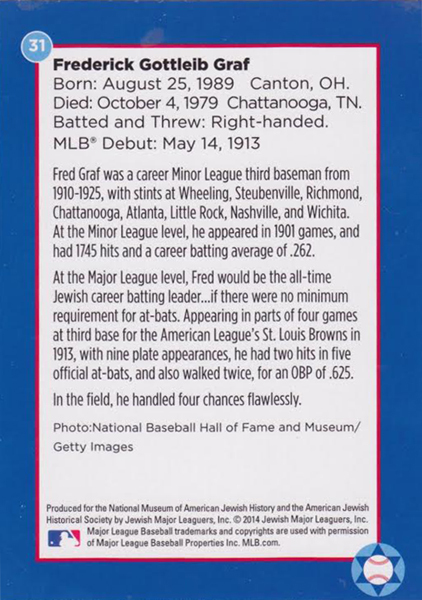 He is buried in Mizpah Cemetery, the first Jewish cemetery in Chattanooga, Tennessee.